Directors, managers and players come and go but the supporters stay with the club forever. Supporting a club is an emotional thing. You can change many things in your life but once you have selected your club then that's it. You have to experience the ups and downs that go with your choice. For the first time, our Trust gives the rank and file supporter the opportunity to be part of the club and to have a greater say in how the club is run. 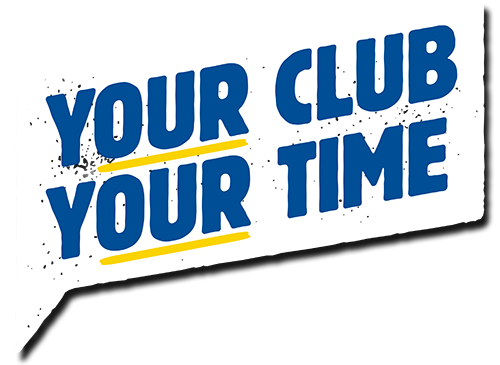 The Killie Trust was established in 2003 to bring our supporters closer to Kilmarnock Football Club and give fans a voice in decision-making at our Club. Since our inception, we have increasingly built momentum to achieve this. In April 2017, we launched the ‘Trust In Killie’ initiative. By taking pledges from Kilmarnock fans from right around the world, our first target to raise £100,000 to buy unallocated shares in Killie and put a supporter on the board of the club as a full and equal director has been achieved. On 31st May 2018, Trust Board Director Cathy Jamieson was appointed to the Board of Kilmarnock Football Club and is the voice of our members at our Club’s decision-making table. Following this historic achievement, we will now build on the success of the ‘Trust in Killie’ campaign, generate more funds for our Club and embark on the next chapter. Members and subscribers are about to decide on our next revenue generating project/ venture. Through membership from the supporters of Kilmarnock FC, we will aim to provide direct and indirect influence over the running of the football club, ensuring the opinions of the supporters are considered before decisions are made by the board of directors at the club. We will create and develop a working relationship with the people and organisations responsible for the day to day running & long term planning of Kilmarnock Football Club. The need to continue to strengthen the bonds of our relationship with the club and interests of Ayrshire can only benefit the needs of all concerned. The Trust will also strive to benefit present and future members of the community by promotion, encouragement and furthering the sport of football in Ayrshire. In the long term, this also includes helping to further the sport at our national and international level. The Trust will also encourage Kilmarnock FC to take proper account of the interests and safety of its supporters and the community in which the club serves when decisions of such matters are made. At all times, the Trust will respect the rights of all members of the community served by the club and will strive to provide information to the people of Ayrshire and conduct the Trust affairs in accessible and appropriate ways.